This powerful, highly dedicated, professional Real Estate Team is perennially honored for their presence in the industry’s top 1% nationwide in sales, and again this year recognized as one of THE TOP 100 Real Estate Teams in the Nation! Sigi & Pam were recipients of the Top Sales Team Award as well as the coveted #1 Agents Award for 2017 and were honored with the Chairman’s Circle Platinum Award at Berkshire Hathaway Home Services California Realty/Prudential’s National Convention. Recognized Internationally by Who’s Who In Luxury Real Estate, they continue to lead their office with the highest sales volume. No other “Sales Team” in the Conejo Valley dedicates as much time, energy, experience and investment in advertising to provide the best possible client service in this ever challenging market. Sigi & Pam are sensitive to the fact that they are assisting clients in perhaps the single, largest investment in their family’s lifetime. Their satisfied clients usually consist of first time buyers to celebrities closing escrows from homesites to ranches, condos to castles. They have the distinction of listing and selling more homes and homesites in the North Ranch area than any other broker. 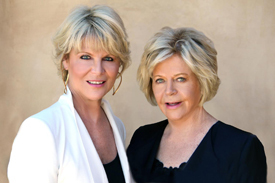 They are preeminent specialists in luxury real estate, Sigi & Pam have effectively handled many of the premier estate and landmark property sales in the Conejo Valley since 1977. Sigi & Pam have established themselves as industry leaders through successful marketing, negotiating, sales and financing experience. Their vast networking throughout the industry and among numerous prestigious professions has resulted in an unprecedented referral base. They are known for the exceptional properties they market and sell. The enviable reputation that Sigi & Pam have earned over the years can be traced to their honesty, integrity, and dedication, and is measured by their client’s satisfaction and repeat business. They take great pride in the fact that over 90% of their business, annually, is from referrals and prior clients. If you’re considering selling your property, consider the Team that’s selling property and closing escrows.